Experts will tell you over and over again that customer service must be provided over social media. But the advice has been ignored, in large part. There are varying statistics on the subject, but it is widely agreed that the vast majority of customer service inquires via social media go unanswered. Some studies say 70 percent; others say 80 percent or more. That’s problematic because customers want you to talk to them via their preferred channel. If they tweet about a problem, they want you to tweet back. If they post a Facebook comment, they want you to reply via Facebook. Often, even when companies do reply, they simply tell the person to call or email customer service. That places the burden back on the customer, which is frustrating. The good news? Social media and customer service can peacefully coexist. Making that happen involves a slight change in strategy and a shift in resources. Here, we’ll share a brief case study of a company that has been widely praised for getting it right, along with some tips on where to start. In a 2012 study examining social customer service behavior of the top 25 online retailers, Zappos was one of two companies who answered all – yes, 100 percent – of social media customer service inquiries. Zappos has since been the subject of countless case studies, and for good reason: They get it right. Zappos has developed ways to connect with customers across many social media platforms, in some cases creating its own unique tools. The company’s social media efforts are too broad to discuss in detail here, but one of the biggest successes in terms of customer support has been the company’s use of Twitter. While other brands are ignoring Twitter mentions, Zappos has a Twitter account that is dedicated to customer service and monitored 24/7. At least 25 people from customer service help run the account, but only one person at a time directs the conversation. All Zappos employees, even outside of customer service, are trained on how to use Twitter and encouraged to use it to connect with customers. The result has been a high level of customer satisfaction and praise from customer service experts. A lot of positive brand value came just from using Twitter for customer service. Zappos has become something of a leader in social media customer service and a model for other companies to follow. Set your strategy. Will you address customer service inquiries and complaints through the company’s pre-existing social media page, or will you create a separate account just for customer service? Zappos and many other big brands have separate customer service accounts, but you don’t necessarily have to. (And even if you do, that doesn’t mean it’s OK to ignore customer service-related posts on the main account.) What is the brand image you want to convey to social media users, and how will you pull that off? Will responses be scripted (usually not a good idea) or more authentic? Select your team. Who will manage the account, and when? This needs to be clearly defined to avoid confusion. Perhaps you divide the task among existing customer service employees and supervisors, splitting the job into one or two-hour time slots. Once you have a team in place, train them on social media best practices and how to address customers, just like you would for telephone agents. Consider investing in tools. There are countless social media monitoring and listening tools on the market that make it easier to track social media mentions. In fact, your CRM system might already have those capabilities. If not, look in to whether it makes sense to invest in one. These save resources and make it easier to communicate with customers in real time. As cloud computing continues to grow and take off, we’re seeing all kinds of reports, surveys and predictions about what the IT landscape will look like three, five or even 10 years from now. While no one has a crystal ball, it’s interesting to see what’s predicted for the future of cloud growth. One of the latest reports makes some big predictions for the future of the cloud-based contact center market. A report by research firm MarketsandMarkets expects it to reach $11 billion by 2019, nearly triple its $4 million size now. That’s a growth rate of more than 20 percent each year, which is huge. We don’t know exactly why or how MarketsandMarkets came to that conclusion – a copy of the report costs $4,650 – but we’ve got some good ideas, since this is what we do everyday. Here’s why the cloud contact center market is poised to not just take off, but to explode in growth over the next five years. Cloud call center software offers greater functionality than the vast majority of existing on-premise software, but it costs less. Very few things in life work that way, which is why the cloud has taken off. Rather than paying tens or hundreds or thousands upfront for call center software, you can can pay a low monthly per-agent fee with no long-term commitment. With the cloud, you’re not committed to one software vendor for years, as is the case with on-premise software. Obviously, you don’t want to change vendors all the time and constantly have to learn new software. But if a product doesn’t work for your call center or doesn’t offer all the features you want, there’s no reason you can’t switch. 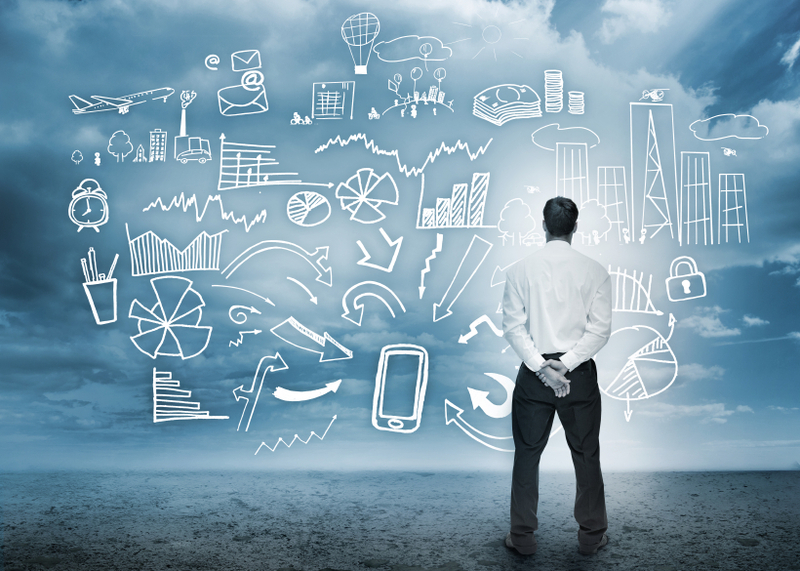 Contact center leaders, CIOs and IT experts have long known the benefits of cloud software. But many are still tied to legacy on-premise systems. They haven’t wanted to abandon expensive systems that are still functional. However, as more of these systems finally age out and become obsolete, contact centers will be ready to make the move. This should spur growth year after year. Contact centers are increasingly warming to the idea of remote and/or home-based agents. When there are no geographical limitations, the pool of talent from which to choose is much broader. And studies have shown that home-based agents are happier and more productive. Allowing agents to work from home also keeps facilities costs down. With cloud-based contact center software, people in remote locations can work together seamlessly. On-premise software, on the other hand, means they need to be in the same building. For many years, call centers were hesitant to make the switch to the cloud. As with anything that’s relatively new, there was some fear of the unknown. Would cloud software be reliable? Is it secure? What are the pitfalls of handing over system control to an outside vendor? Those fears are easing as the IT world becomes more comfortable with the cloud and more companies make the switch. People better understand the advantages of the cloud now, and they realize it’s not a passing fad but here to stay. Security has long been one of the greatest concerns in the transition to cloud computing. Many companies, particularly those who haven’t adopted any cloud technology, are afraid their business and customer data will be at risk. In truth, some of that fear is overdramatized. 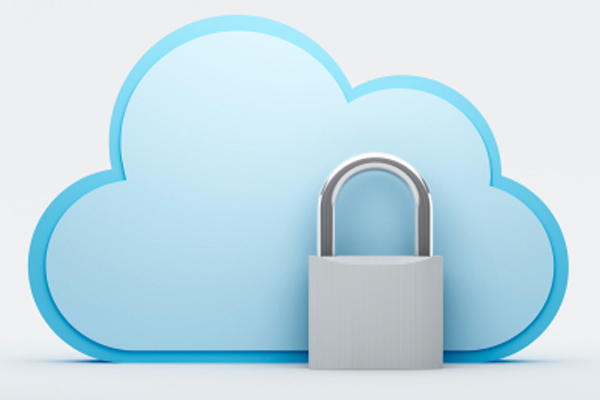 Most cloud computing providers are highly secure. They have to be: Even one small slip-up can erode trust and chip away at their customer base. In fact, many cloud vendors offer products more secure than those on in-house servers, particularly for SMBs. They have greater resources than smaller businesses to invest in IT security. Because of all that, cloud data breaches are currently very few. However, the concern has always been – and remains – that relying on cloud vendors means a loss of direct control when it comes to security. It is impossible to know for sure that your business information is properly secured when it’s in another company’s hands. That requires trust, which can be scary. However, there are steps you can take to make sure that data is as safe as possible. You can’t expect to feel safe if you don’t know exactly how your business data is both stored and secured. When you’re shopping for cloud vendors, make sure you find out exactly how the company addresses security. What measures are in place to keep your data safe, and how are they enforced? Who has access to your company data and when? What happens if a breach does occur? Many vendors offer data encryption as part of their service. They make sure your data is encrypted on your own devices and in the cloud. Some vendors offer encryption so secure that they can’t even access your information. However, keep in mind that there’s no way to completely guarantee your data has been properly encrypted. The best way to feel good about this is to choose an established and reputable vendor. Multi-factor authentication provides a second or even third layer of security when employees log on to business applications, secure networks, web portals and the like. Rather than just entering a username and password (something they know) employees also have to provide something they have (a token or secure mobile app) and perhaps something they are (biometrics) to be authenticated as a legitimate user. Security experts have long emphasized this as absolutely crucial, but many companies have not heeded the warning. Sensitive data should only be in the hands of those who absolutely need it – both internally and externally. Make sure the cloud vendor has strict rules around who can access your data and when. Then develop your own in-house policies. Who needs what sensitive data, and when? How can sensitive data be shared among employees? Do sensitive emails need to be encrypted? Do your employees use their own smartphones, tablets and laptops for work purposes? If so, what kind of information can be stored on these devices? If a device is lost, how is the data protected? Even with business devices, you need to ask these questions if they’re taken out of the office. You might be surprised by how often data breaches occur from stolen devices. The call center is a much more complicated place than it once was. We used to interact with customers solely over the phone, but now we have to be available on multiple channels – mobile, web, social and more. Technology has changed, to say the least. The pace in which contact center technology is evolving is dizzying, and it be difficult to decide where to invest your technology dollars. Here are six technology trends that have officially moved from new to mainstream. The common denominator? They improve the customer experience and make call centers more efficient. If you’re not looking at these tools and technologies yet, you might be falling behind. Customers are accustomed to interacting with companies on their smartphones and tablets. These days, they’re surprised when they can’t. Early mobile apps were more transactional in nature – booking reservations, checking account balances, etc. But newer versions incorporate customer service functions, too, allowing people to seek help or support without leaving the app. In-app customer service functions will become increasingly important as consumer behaviors continue to shift. Customers expect to be able to interact with you on the platform of their choice, rather than being redirected to email or your website. Cloud call center software has been a game-changer for the industry. It is far more affordable than on-premise software, and it offers new features and advanced functionality such as customer chat. Cloud software has also enabled remote agents, making it easier for call centers to attract and retain talented employees without the constraints of geography. Other benefits include scalability, speed of deployment and reduced IT costs. Your customers will most certainly thank you for this one. Rather than waiting on hold – which is every customer’s nightmare and a major source of complaints about call centers – customers can choose to put their number in queue and receive a return call when an agent is available to help them. No more listening to elevator music for 20 minutes. This also improves the lives of your agents – they’ll deal with happier customers on the other end of the line. Even some giant brands have struggled to figure out how social media can be used for customer service. They use Facebook, Twitter and more for marketing, but they don’t understand that it has to be broader than that. Customers want social media to be a two-way street. They don’t want to be blasted with marketing messages while their complaints are ignored. This also goes back to the idea that customers want to interact on their platform of choice. If they complain on Twitter, they want to hear back from you on Twitter. They don’t want you to simply direct them to call or email customer service. Need some inspiration in this category? 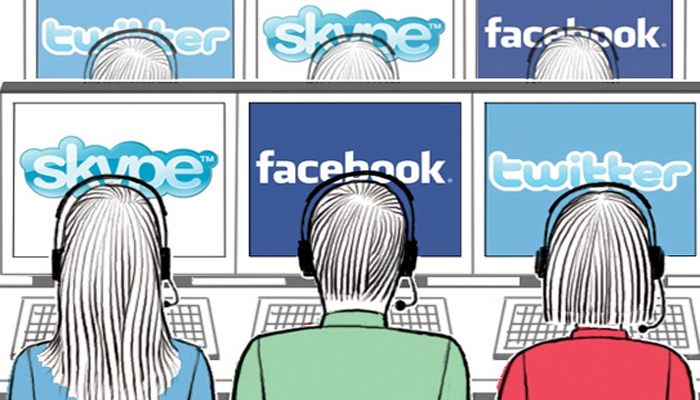 Check out how brands like Zappos and Dell have made social customer service work. Human interaction isn’t needed with every communication. For simpler customer service requests, virtual agents can solve the problem without wasting manpower. Virtual agents use artificial intelligence – similar to Siri and others – to answer questions. They can be less frustrating for customers than IVR because the interaction can be more complex. However, virtual agents are not replacing IVR altogether, which is still effective for basic call routing. Video has long been talked about for its potential customer service applications, but the idea is finally taking hold and being put to use. There’s video chat with customer service agents, of course, but there are also more creative uses. Agents can send troubleshooting videos to help address customer problems, for example, or an instructional video on how to activate a product or device. There are many different ways to price the same thing. You find that in every industry. Some restaurants sell sides a la carte, while others include them in the price of the dish. Some smartphone phone plans offer unlimited minutes and data, while others have limits and impose fees for exceeding them. The cloud software industry is no different. With cloud call center software, sometimes a flat monthly fee covers all the features you need, and in other cases you might be billed extra for calling or advanced features like predictive dialing. This can make it confusing to compare vendors in an apples-to-oranges kind of way, and to figure out which offers the best bang for your buck. To demystify things a bit, we’ll break down the pros and cons of three common pricing structures to help you decide which makes the most sense for you. If predictable pricing is your goal, this is the way to go. These vendors offer a flat monthly fee for each agent that includes all features. In most cases, there’s also some sort of flat per-agent deposit required upfront. There’s no clear downside to this route as long as the flat fee and deposit you’re quoted are fair and affordable. Flat fees make for easier budgeting, and you’ll never be surprised by the bill. Still, even if a vendor advertises a flat fee, make sure to find out which features are included in the price. Not all vendors offer the same set of features. And some vendors offer a few different flat-fee plans with varying features. Other cloud call center vendors offer per-minute pricing. Typically, there’s a monthly fee that includes all call center features but caps your telecom minutes at a certain number. Vendors that price this way usually have several tiers of plans based on the number of minutes you expect to use each month. If you go over, additional per-minute fees are charged. This is a reasonable choice if your monthly minutes are consistent and predictable (and you like what the particular vendor has to offer in terms of features). In that case, the cost should be about the same every month. However, if your minutes fluctuate from month to month, this probably isn’t the way to go. Keep in mind, too, that many vendors tack on additional fees for international calls. Here’s where it gets even more confusing. These vendors advertise a flat monthly fee that looks low, then tack on additional telecom fees for each minute. Keep in mind, a fee is not truly flat if there are additional charges of any kind. Generally, this fee structure is only a good idea if your call center volume is very low and will stay that way. In that case, the approach keeps monthly costs down. But if your call center volume is higher or fluctuates, don’t go this route. You’re apt to see some shocking bills at the end of the month. In addition to the pricing structure, we can’t emphasize enough that it’s important to find out exactly which features are included in the monthly price you’re quoted before making a decision. A low rate is not a good deal if it doesn’t come with the functionality your call center needs. For example, some vendors don’t offer predictive dialing at all, while others charge extra for them. Is a deposit required, and if so how much? Is there any sort of monthly minimum? Do I have to sign an annual contract to get this price, or is it a month-to-month plan? Are software upgrades included in the price? ABOUT US: Kunnect sells 100% cloud-based call center software that includes a predictive dialer to businesses and political campaigns. Our software, hosted seamlessly in the Amazon platform, manages all inbound and outbound calling for a flat rate of $125 per agent per month with a flat deposit of $125 per user. There are no hidden fees. In addition to the predictive dialer, features include: inbound and outbound calling, CRM integration, call scripting, call recording, ACD, skills-based routing, IVR, live monitoring, real-time statistics, historical reporting and more. How Much Does Cloud-Based Call Center Software Cost? Contact centers are increasingly moving to the cloud for the convenience, flexibility and affordability it provides. However, shopping for cloud-based call center software can be tough. Many vendors do not publish their prices online, and some are not transparent about which features are included in their plans and which cost extra. This presents a problem for buyers because it can take days, weeks, or even months of legwork to get enough information to compare products. We wanted to simplify the process, so we contacted various vendors and conducted extensive web research to get a sense of what our competitors are charging and how fees are structured. We couldn’t get every piece of information from every vendor, but we were able to collect more detailed information than what you’ll find anywhere else on the web. Cost: The blended call center product, which includes inbound and outbound calling and all features below, costs $165 a month per agent if you have more than 10 agents and $175 per agent if you have fewer than 10. One-time setup fee of $250. Features not included in monthly price: Calling outside the continental U.S.
Five9 does not disclose pricing on its website. When we contacted the call center, the agent was helpful and straightforward about pricing and features. She also provided her direct line for future inquiries. Features not included in monthly price: Telax does not offer a predictive dialer, so that is not included in any plan. The lowest-priced plans include basic inbound and outbound calling, basic auto attendant, and a few additional features. More expensive plans include the full range of features. Telax is clear about the fact that it offers a flat monthly fee for each agent, and it guarantees there are no hidden costs. Pricing is not published online, and an agent via web chat would not disclose it. However, a call to the customer service line resulted in detailed info. The agent was friendly and helpful. As a side note, Telax advertises that it is the “only contact center solution in the world with a fixed-firm price.” However, other a few other vendors offer fixed pricing, too. CallFire publishes its rates on the website, and an agent was happy to help explain pricing and features via web chat. He explained that the price is strictly based on the number of minutes used. It doesn’t matter how many agents are working as long as the minutes are not exceeded. There are no setup fees, and IVR and autodialer are included in the price, he said. Like many vendors, 8×8 also does not publish prices on its website. The customer service representative we spoke with was willing to provide a price range for monthly service, but she would not specify whether there are setup fees. We were also unable to get a clear idea of what features are offered at which price points. Features not included in monthly price: The core platform includes features such as ACD, IVR, reporting, a predictive dialer, self-service and more. However, we could not get a clear picture of exactly what it does not include. InContact does not list prices on the website. The customer service agent shared the $2,000 a month minimum, and mentioned that the product usually only makes sense of companies with 15 agents or more. He did not share the per-agent, per-month price, saying that is dependent on the features that are selected and the needs of the business. He referred us to a member of the sales team for specifics. As a side note, this customer service agent was one of the friendliest and most helpful we encountered. He was forthcoming about the fact that inContact may not make financial sense for very small companies. He spent a significant amount of time on the phone walking us through features, options and scalability of the product. Cost: Unknown. However, the company does offer three tiers of its cloud software: CaaS Small Center for businesses with 10-50 agents; CaaS for 25-5,000 agents; and PureCloud for companies with 10-unlimited agents. Incoming calls cost $0.02 per minute and outbound calls cost $0.03 per minute. Those are U.S. and Canadian rates only; international calls have different and unpublished rates. Features not included in monthly price: Depends on the plan you choose. Click here for a side-by-side comparison of the features that come with various plans. None of the plans include calling fees or a predictive dialer. TalkDesk clearly states its prices on the website, and the side-by-side comparison of features is very useful for deciding what tier of service meets your needs. The only downside is that the per-minute pricing and the lack of a predictive dialer make your monthly costs difficult to predict in advance. However, the company does say it plans to add a predictive dialer down the road. Before a customer calls your business, there’s a good chance he or she might not know much about the scale of the operation. Who’s to say whether they’re calling a home office or a call center with 200 agents? What happens when someone picks up is what tells that story – and what strongly influences a customer’s perception of your business in terms of size, credibility and professionalism. If someone picks up and yells “Hello? !” with the dog barking in the background, the brand is instantly tarnished. One of the ways to grow your small businesses into a much larger one is to give the appearance of a larger and more professional operation. Purchasing cloud-based call center software can affordably get you there. 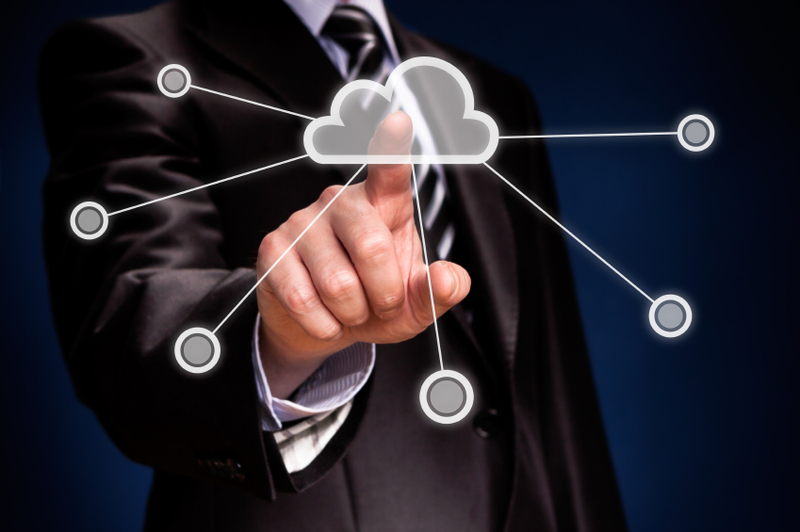 The cloud has narrowed the technology gap between small and large businesses. Software that was once available only to big businesses is now accessible – and affordable – for companies with 50 or fewer employees. Because cloud-based software is delivered over the Internet, there is no expensive hardware or software to install. That brings costs down considerably. Small businesses can purchase cloud-based software with the same features as traditional on-premise software for a low monthly fee. 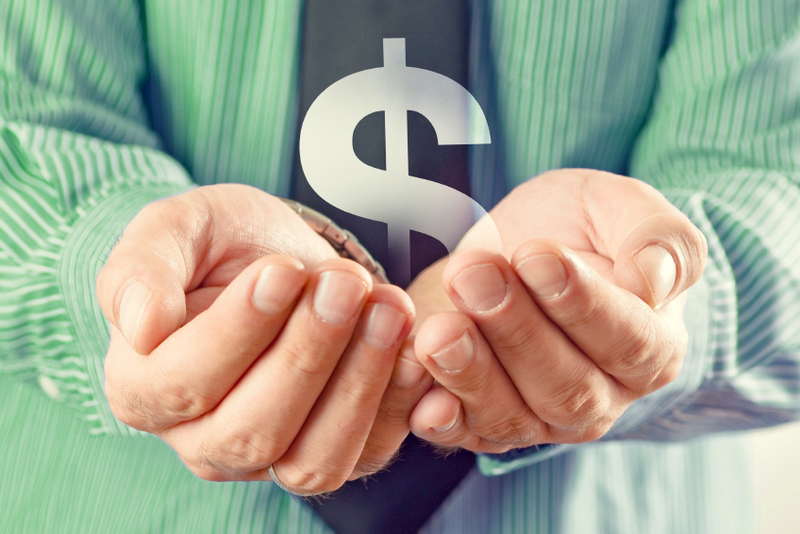 In most cases, no long-term commitment is required and upfront expenses are small. How will cloud call center software help my business? Cloud-based call center software streamlines all of your inbound and outbound calling. Features include predictive dialers, automated answering, call routing, call prioritizing, CRM software integration, real-time statistics and reporting, live call monitoring, web scripting, queue management and more. For inbound calls, the software puts an end to callers being bounced around from one extension to another until they find the right person to answer their question or address their issue. Rather than a live person picking up, the automated system directs the caller to choose the appropriate department. For very small businesses, this might be all you use – at first. But at a cost of $100 to $200 per month, in most cases, that’s OK. Your callers will get the impression that they’re calling a larger, established company. Businesses that have moved beyond that startup or micro-business phase will benefit from more advanced features that increase productivity. A predictive dialer can speed up sales calls by automatically dialing phone numbers and only routing the call to a sales person when/if someone picks up. Call prioritizing ensures that customers with product issues reach a customer service rep in a timely fashion. CRM integration allows you to incorporate calling features with your existing software and track the history of customer interactions. The list goes on. Generally, you’ll provide a more streamlined experience for your customers and improve internal efficiency. Aside from cost, cloud-based call center software is ideal for small businesses because it is scalable. If you only have three people in customer service, buy only the three licenses you need. When the business expands, add more licenses with a quick phone call to the software vendor. With expensive on-premise call center software, businesses had to purchase enough hardware and licenses to account for future growth, which priced many of them out of the market. Kunnect sells 100% cloud-based call center software that includes a predictive dialer to businesses and political campaigns. Our software, hosted seamlessly in the Amazon platform, manages all inbound and outbound calling for a flat rate of $125 per agent per month with a flat deposit of $125 per user. Cloud-based technologies have taken off among small and large businesses alike, but it’s the smaller businesses that stand to gain the most. For the first time, the cloud has made complex business software and applications accessible and affordable for companies with fewer than 50 employees. Whether you’re still operating mostly on paper or you’re looking to transition from basic office applications like Gmail and Quickbooks to more sophisticated software, the cloud has a lot to offer small businesses in terms of features and cost. Here are five of the best reasons to finally make the move. The cloud makes it possible for small businesses to function like much larger ones. There are cloud software products and applications for just about every business function, from marketing and lead generation, to payroll services, to managing your call center operations. These products offer the same features as much more expensive on-premise software, which is installed on site and managed by an in-house IT staff. How can you get the same features for a much lower price? The method of delivery. Cloud providers sell software as a service, not a product. Because the software is delivered over the Internet, there’s no expensive on-site hardware and software to install, and there’s little if any in-house IT work required. Many cloud-based providers charge a flat monthly fee. That means there are no surprises when it comes to cost. You know exactly what you’ll be paying each month, which allows for better budgeting. However, it is important to note that some vendors advertise low monthly fees and then tack on extra charges for additional features. Always find out exactly what the advertised price includes. If you can, go with a vendor that offers a completely flat rate with no hidden charges. One of the biggest draws to cloud-based software is that it requires very little money upfront. Traditional on-premise software often requires tens of thousands or more in upfront costs for the purchase and installation of hardware and software. Because cloud requires no on-site installation, those costs don’t exist. In many cases, startup fees are $100 to $200 for each software user. Many small businesses have tiny or nonexistent IT resources. Even if they can afford on-premise software, they don’t have the in-house IT staff to update and manage it. Cloud software providers handle the technical aspects for you, which saves time and money. There’s no need to hire an in-house IT specialist or shell out big bucks for an outside consultant. When you buy on-premise software, you’re stuck with it for a long time. Chances are, you’re not going to spend tens of thousands on hardware, software and installation, then switch vendors a year later. This ties you to a product longer than you’d like, and, in many cases, it ties you to a product long after it is out of date or obsolete. Cloud-based software vendors usually do not require a long-term commitment, so you can cancel at any time. Most offer month-to-month plans, making it easy to switch vendors if you’re not happy. Signing a one-year contract will usually score you a discount, but don’t commit before you’ve thoroughly researched the product and have completed a demo. Even better, try the software for a month and then consider a contract. If you’re dialed in to the world of contact centers and customer service, chances are you’ve seen this great infographic by now. In the complex world of modern call centers, agents need a whole set of skills their predecessors didn’t. We’ve combined the old and new for this list, pairing classic traits that have always made for great call center agents with skills that have become crucial in the modern world of technology and high customer service expectations. 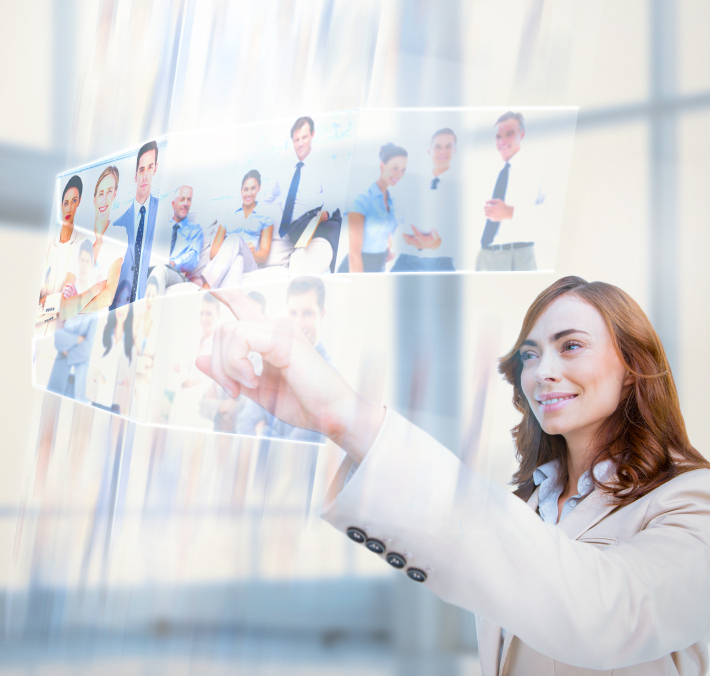 Personable – Call center agents need to be not only outgoing, but personable in their exchanges. Simply being talkative is not enough; they need to pleasant and understand the art of conversation. They also need to be genuinely empathetic when customers are unhappy or upset. Great listener – Piggybacking on the art of conversation, call center agents need to really listen to a customer’s problems, complaints or concerns. Listening is the only way they’ll be able to come up with good solutions. Tech savvy – Modern call centers rely on considerable technology, not just phones. Agents have to be technical enough to learn and navigate complex software. Technical issues that delay the call will only frustrate customers further. They should also be skilled in social media, which is an increasingly important component of customer service. Patient – Hot heads need not apply. Customer service agents, unfortunately, have to deal with angry or irate customers. That’s never fun, but they can’t lose their cool. Agents have to know how to stay levelheaded. Flexible – Sometimes call center jobs come with oddball hours. New agents might have to work the second shift or overnight. They might get stuck on a complicated call and not be able to leave the minute their shift ends. 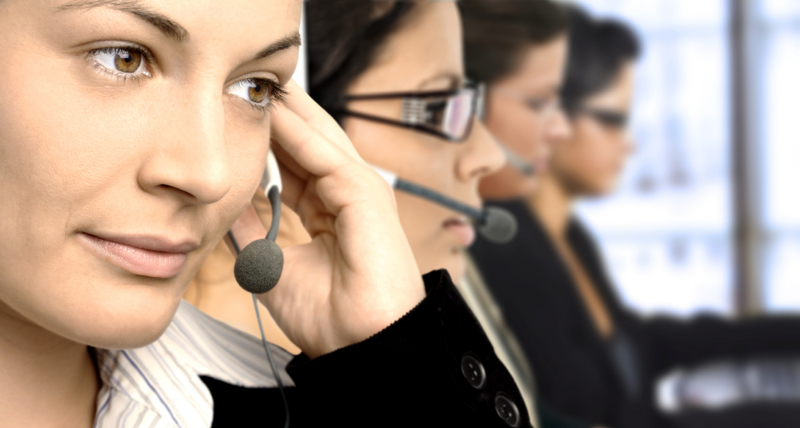 Trustworthy – Call center agents almost always have access to personal or sensitive customer information. It’s crucial to find people who can be trusted not to misuse or steal this information. Innovative – In the modern call center, sticking to the script doesn’t fly with customers. Agents need to be able to think on their feet to come up with creative solutions to problems. Of course, this also involves the company empowering them and giving them room to make decisions. Should call center agents earn more money? Given all that’s expected of modern call center agents, is it fair that they make a median salary of about $30,000, or $14 an hour? We’re asking them not only to be patient and personable, but tech savvy, innovative and flexible. The required skill set has changed and grown, but salaries have not kept pace. In an environment as cost-conscious as the call center, it’s not always possible to pay employees considerably more. However, it’s interesting to note that other industries have noticed a direct, measurable correlation between increased salaries and increased sales. A study of a 500-store retailer, cited in The New York Times earlier this year, found that for every additional $1 spent on employee salaries, sales grew anywhere from $4 to $28. Companies that can’t raise call center salaries can offer other financial incentives to keep skilled employees and reduce turnover, including performance bonuses for high customer service ratings. Operations managers should also have strong programs in place to promote skilled agents to supervisors, a position that earns a median salary of about $45,000, and often more. A lot can change in two decades. A company that started out as a simple online bookstore grew to be one of the world’s largest online retailers, selling just about everything you could imagine at discounted prices. Then, in 2006, Amazon decided to dabble in a whole new world: IT infrastructure. The whole thing happened sort of by accident. According to Kevin Davis, IT account manager at NPI, Amazon realized after a decade of building and running its own highly scalable web application that it had a knack for operating massive IT infrastructure and data centers. Thus, Amazon Web Services was born. Today, AWS has hundreds of thousands of clients, including major names like Netflix, Expedia, Pinterest and Instagram. Their cloud-based platform powers businesses IT operations around the world for much less than it would cost the companies to install their own servers and other IT infrastructure. Kunnect’s software, like all kinds of software around the world, is hosted in the Amazon cloud platform. That means Amazon powers the web infrastructure on its vast network of servers spread across five continents. Low cost – Most platforms offer pay-as-you-go pricing with no upfront expenses or commitments. Cancel at any time. Also, costs are variable based on the scale of your business. Pay for as much or as little as you need. No downtimes – Cloud hosting means you have access to hundreds or thousands of servers, not just one. This ensures that you always have the computing power you need without worrying about server malfunctions. A single down server won’t affect you. No waiting – Cloud hosting allows for instant access to the vast network of servers. There’s no waiting to procure and install servers. No guesswork – Building your own infrastructure involves figuring out how much data center capacity you need, which can be tough, particularly for growing businesses. Cloud hosting allows you access to as few or as many servers as you need. More computing power – AWS has five times the capacity of other leading providers combined. Software compatibility – The biggest software vendors, including names like Microsoft, Adobe and Oracle, have made their products available on AWS. AWS has also partnered with the largest system integrators. Compliance – AWS has most of the standard compliance certifications, including HIPAA, SOC 1/SSAE 16/ISAE 3402 (formerly SAS70), SOC 2, SOC 3, PCI DSS Level 1, ISO 27001, FedRAMP, DIACAP and FISMA, ITAR, FIPS 140-2, CSA and MPAA. Market history – AWS has eight years of experience in the industry – a long time in terms of cloud hosting. The product is reliable and the network of data centers is vast. Instant access – Anticipating higher than normal use? You can spin up server capacity instantly in anticipation. Steep learning curve – AWS can be complex to set up and use, particularly for large companies with complex needs. Support – Enterprise-level support is not included in the price. That will cost you about an extra 10 percent. Support can also be more difficult for small and mid-size businesses. Billing – Many customers say the billing is confusing. The cost is based on three things: the location of the data center providing service, the volume of service and the performance of the service. Looking for more guidance on understanding billing? Check out this TechTarget guide.